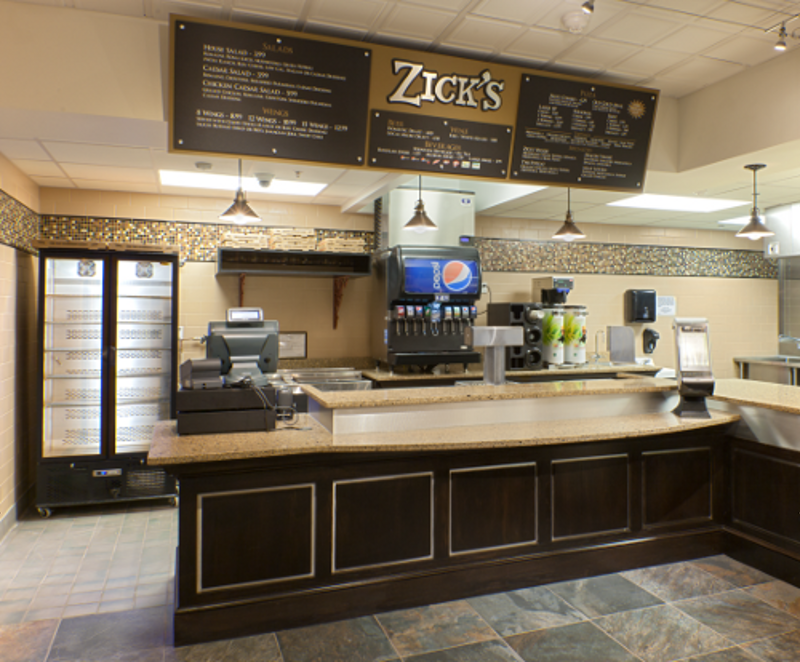 Zick's student "hang out" space was designed to encourage a greater sense of community on the WFU campus. This former campus mailroom encompasses 4,286 sq. 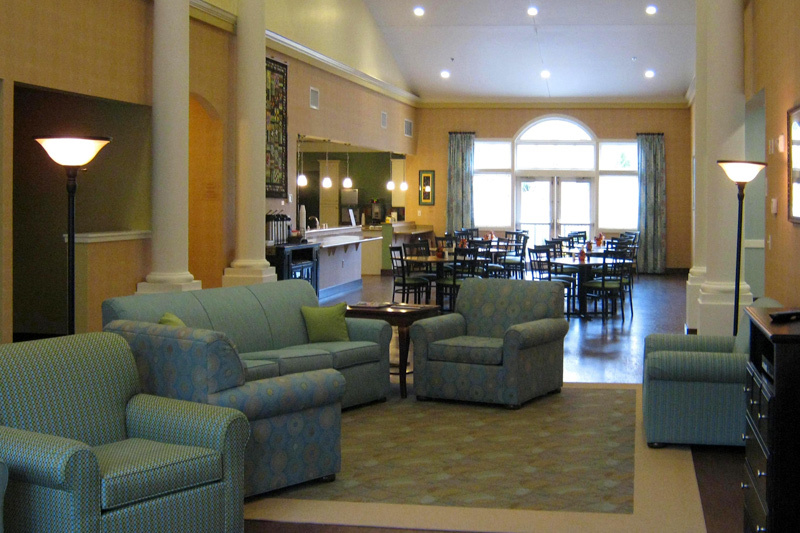 ft. on two levels of the Poteat Residence Hall. 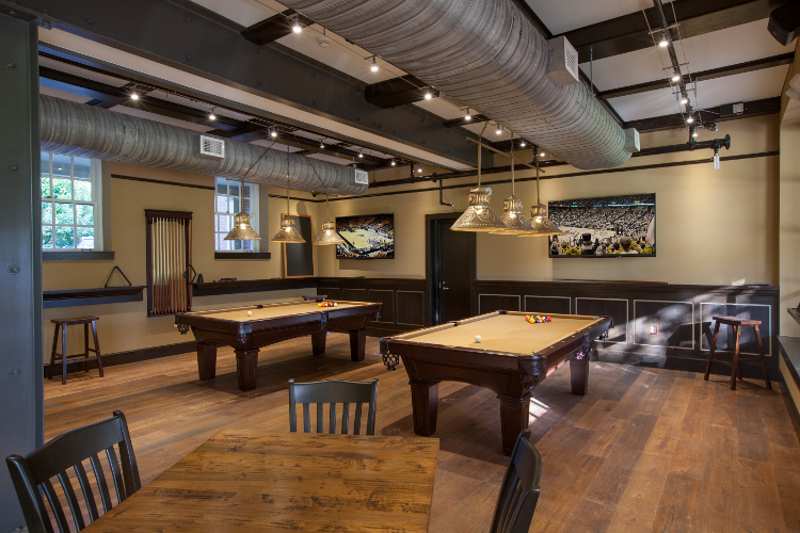 We worked closely with the architects, WFU Campus Life &amp; Facilities Depts. 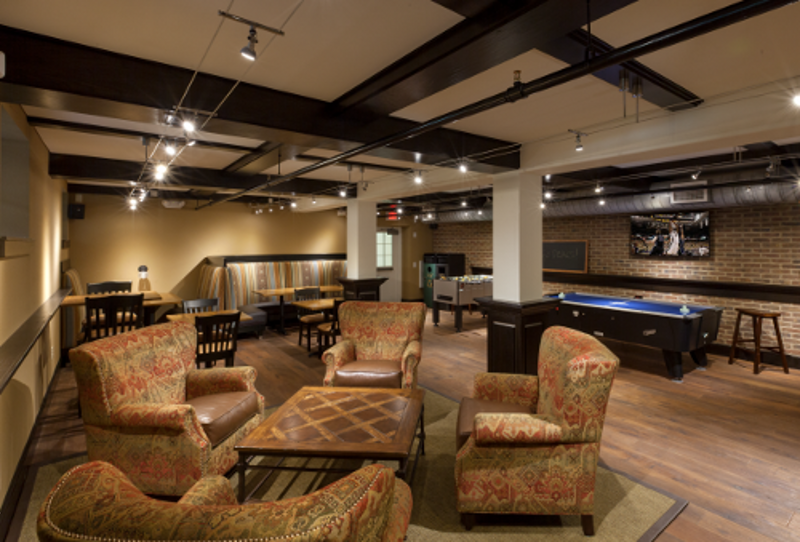 to plan a space which was inviting and comfortable for students and others in the WFU Community to gather, converse, relax and engage. The result is an old world, pub decor with an industrial twist. 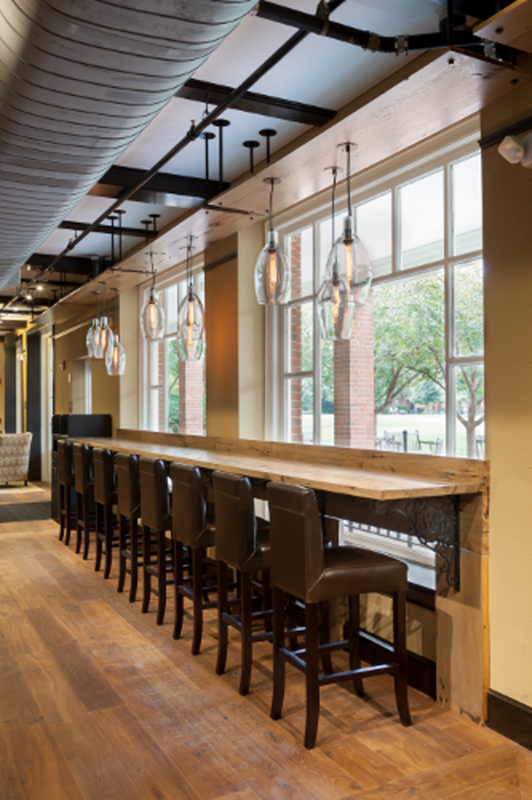 A focal point is the reclaimed wood bar counter with custom lighting. Materials included wood floors, brick veneer, custom paneling and iron accenst, which all contribute to a vintage look. 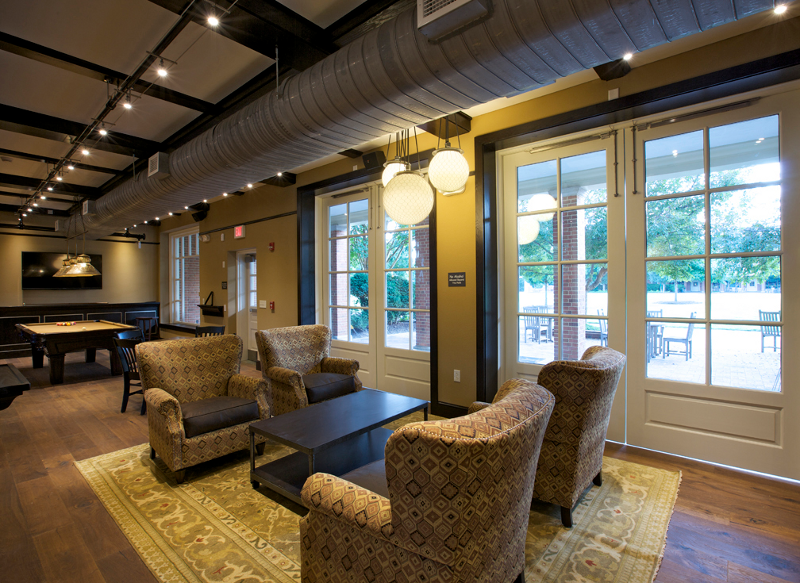 Whenever possible, materials and systems follow WFU's strong commitment to sustainability. Our work with the architects was very comprehensive, from the early conceptual planning to selecting finishes, furniture, lighting selections and installation oversight. 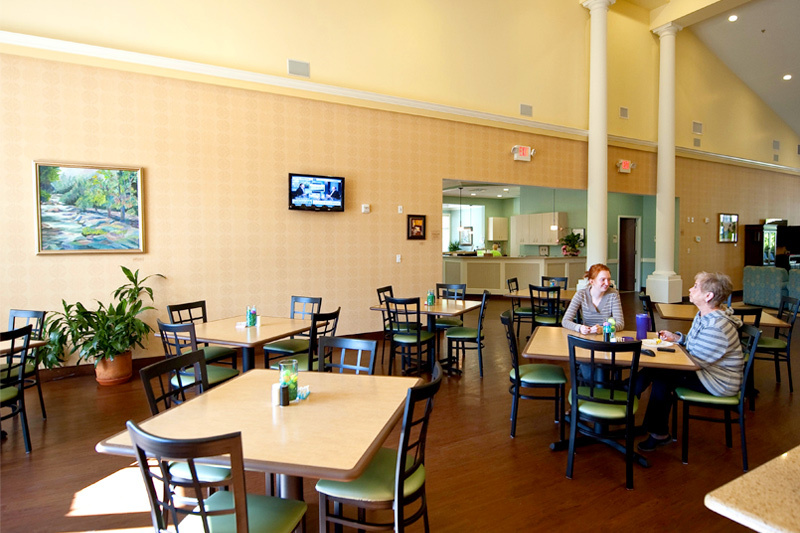 Hayden Design created an inviting and rejuvenating “home away from home” for family members of patients who travel to Winston-Salem for medical treatment at our local medical centers or hospice. The color palette and design direction is bright and cheerful, reflecting the residential, cottage style developed for the building by the architect. 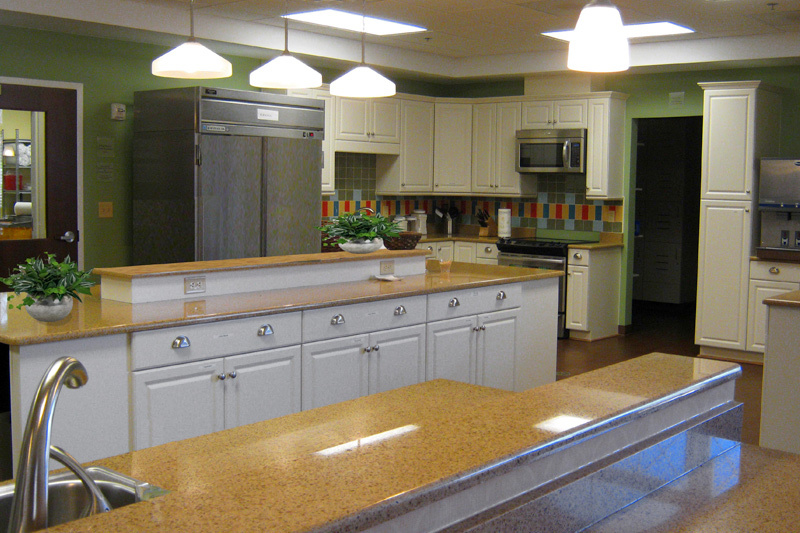 HD also provided design for the reception desk and the kitchen to create a welcoming and practical environment. 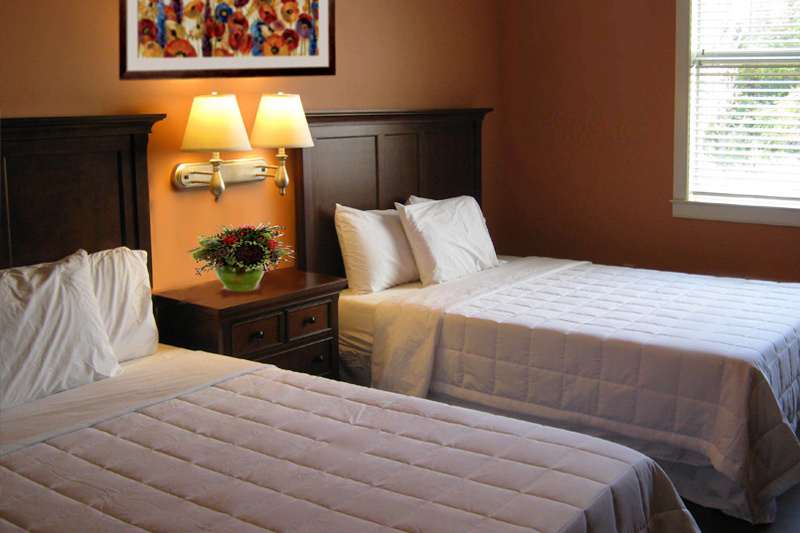 Because of the Family House’s non-profit status, we worked with many finish and furniture manufacturers to secure discounts and donations for the project.